A következő gépekre szerelhető Koparki 22-30 ton. Excavators with weight from 22 to 30 tones. Bagger mit Einsatzgewicht von 22 bis 30 Ton. екскаваторів від 22 до 30 тонн. для экскаваторов от 22 до 30 тб. Egyéb információ. We are an authorized dealer of Hammer srl in Poland. We offer all equipments of demolition and recycling. All our devices are manufactured by Hammer srl in Italy and do not have components from other manufacturers. 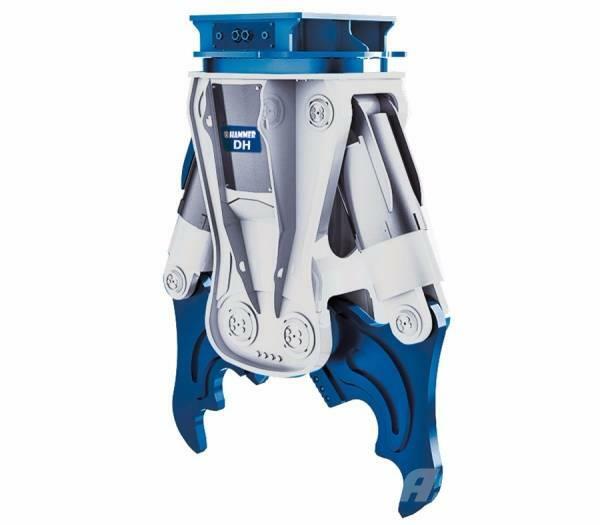 The main in offer we have is hydraulic hammers, demolition and crusher shears, rail cutters, scrap shears, hydraulic multi-tools, grapples, rotators and spare components of all our products. By buying from us you receive a guarantee, technical support, service and access to spare parts. * The cutting force measured at the beginning, in the middle and at the end of the jaws. HAMMER DH demolition shears for excavators with operating weight from 1,5 to 150 tones. They stand out a high cutting force. They are used in all demolition works. - Speed Valve – Fast opening and closing of jaws.